Are you considering purchasing a new puppy in 2017? If you are set on your decision to shop, rather than adopt, you should ensure you are choosing the best breeder possible for your new family member. This seemingly small decision can mean the difference between a happy and healthy pet or one that is prone to health problems and poor genes. 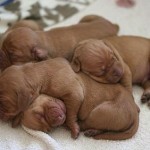 Tips for choosing a dog breeder are discussed here. When choosing a dog breeder seek out recommendations from trusted sources, such as national breed associations and veterinarians. Always check the breeder’s references, particularly if the kennel is not well-established. If you cannot find recommendations for a kennel in your area, at the very least ask trusted canine professionals which breeders to avoid. Once you narrow down your list to a few breeders, the next step is to ask plenty of questions. How, and why, did they get into the business of breeding? If the answer is simply for profit, steer clear of these individuals. What kind of health problems have their dogs experienced, and what measures are being taken to prevent these instances in the future? 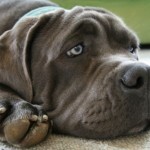 Any breeder that says no health problems occur in purebred dogs should raise red flags. What type of stipulations will the breeder have for you? 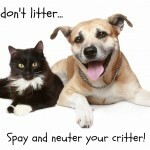 Often times, ethical breeders ensure that new owners spay/neuter the new puppy, unless it is being used for show. Next, ask to tour the facilities and meet the parents. 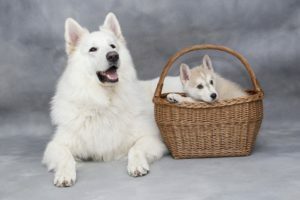 While you may not be able to meet the father of your puppy (oftentimes the sire is from a different kennel), you should certainly be able to meet the mother. Ensure that she is being properly cared for and not simply kept in a kennel all day long. If the breeder refuses to allow you to see the facilities or meet any dogs, avoid this facility entirely. Since purebred dogs are more likely to experience genetic health problems, you should ask to see the health certifications of your potential puppy’s parents. 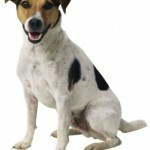 Any good breeder will have certifications from the Orthopedic Foundation for Animals for joint health, as well as additional genetic or eye testing depending on the breed. If the breeder cannot produce these papers, beware that your puppy may have an increased risk of developing hip dysplasia, cancer, progressive retinal atrophy, or other common purebred ailments. A reputable breeder will want to ensure that his or her puppies are going to the right family. Expect to answer questions such as how long you are away from home during the day, whether or not you have a fenced-in yard, and how much you plan to exercise your dog. When choosing a dog breeder, don’t let cost play a role. The puppies from ethical breeders will demand a higher price than those found on Craigslist ads, but this is because they are being properly cared for. After all, a stud fee, premium care, genetic testing, and veterinary visits are not cheap. If you pay a higher price for the puppy now, realize that you are likely saving yourself from exorbitant vet bills in the future. «Is a Boxer Right for You?